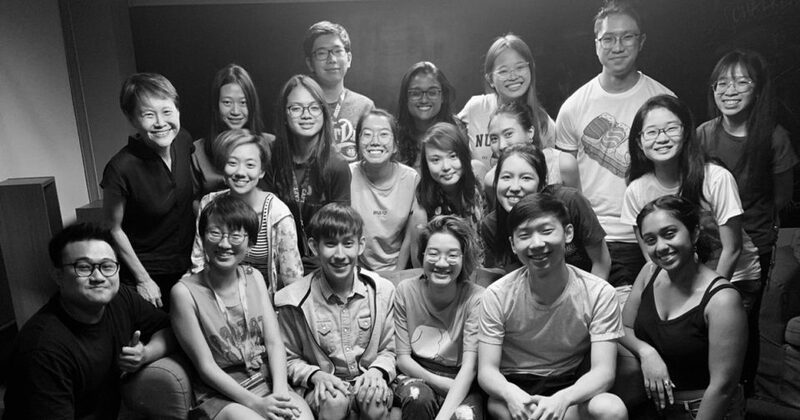 Who is the Organiser of the Brave Walk? The Brave Walk is organised by Singapore women’s non-profit Brave Spaces, which believes in engaging women to empower other women in Singapore. When and where is The Brave Walk? The Brave Walk 2018 is scheduled for Saturday, 25 August at Casuarina Grove, East Coast Park (near carpark F2). What is the flag-off time for the walk? The Walk will commence at 8am and we encourage all participants to be at the start time by 745am. What time will be event end? The event will end by 11.45am. Where is the start and end point? 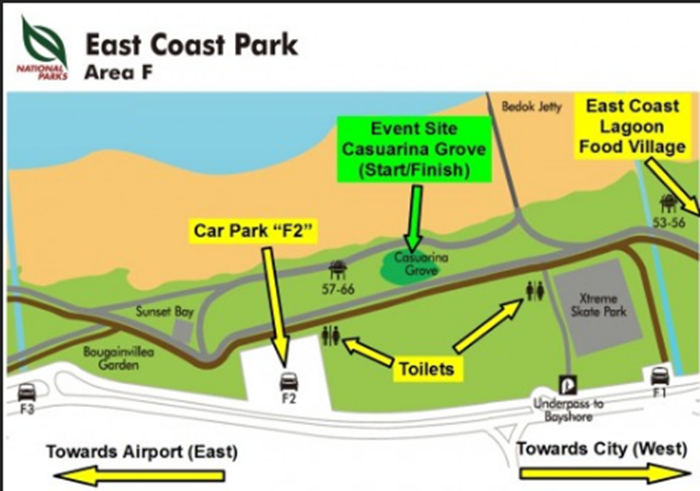 The start and end point is at Casuarina Grove, East Coast Park (Near Carpark F2). Please check the event webpage and Facebook event page for any updates. Will I get a t-shirt with my participation? Yes and most definitely! 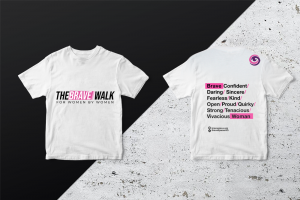 Every registered Brave Walker will receive a specially designed t-shirt and you are welcome to buy additional t-shirts for your friends and family. All proceeds raised will go directly to supporting Brave Spaces initiatives. Do I have to wear the T-Shirt during the walk? 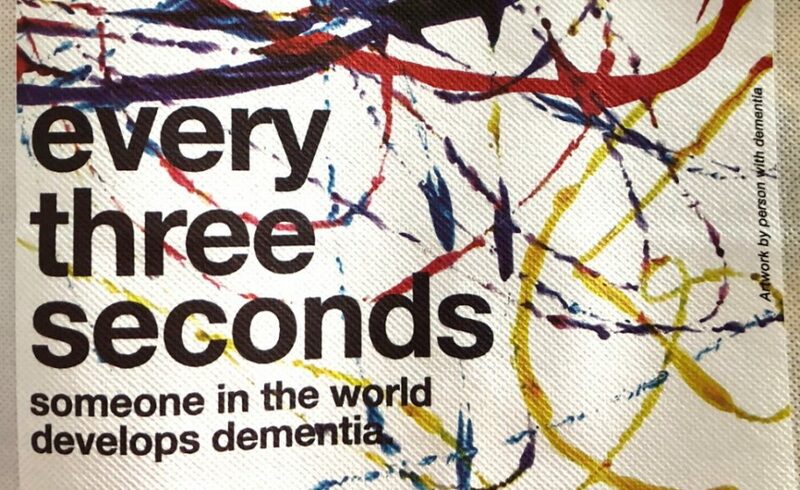 We would love all Brave Walkers to wear out t-shirt and share our message! (We also think it will make a great photo.) 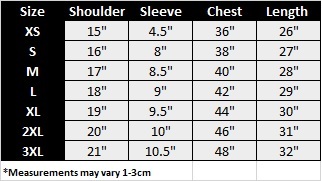 However, feel free to wear what you feel good in! Is there a cut-off time for completion? The Brave Walk is a self-paced walk and you can complete the walk at your own pace. There are also kiosks and vending machines along the way where you can stop to take a break. There are many opportunities to take photos or just watch the sea. However, we encourage all Brave Walkers to be back by 10.30 am so they do not miss out on the post-walk activities! Can we leave during the walk? We have full faith in all Brave Walkers to look out for themselves and their friends and we don’t take attendance, so if there is a need to leave the walk half-way, you can do so but do let someone know, just in case. Who can join The Brave Walk? The walk is open to everyone who supports the cause. 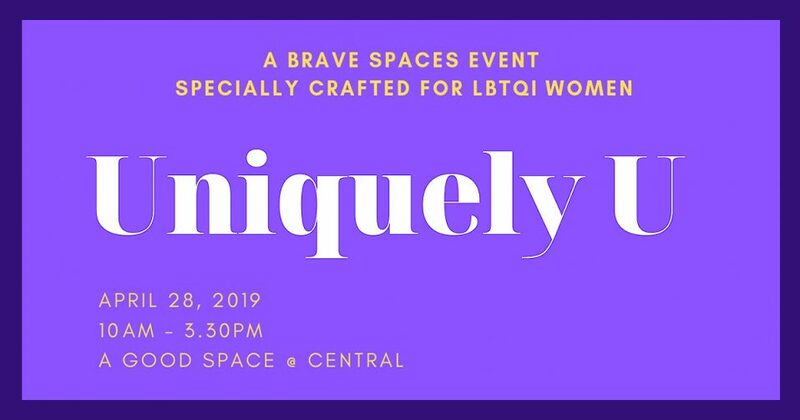 Organised by Singapore women’s non-profit Brave Spaces – a non-profit organisation which believes in engaging women to empower other women in Singapore. Will there be a baggage storage area at the site venue for us to keep our bags? No, there will be no baggage storage area so we strongly encourage all Brave Walkers to pack light and carry minimal items for the walk. A little rain will not stop the first Brave Walk! However, Brave Spaces Limited reserves the right to delay the commencement of the walk in the event of inclement weather; should terrible weather persist even after a reasonable delay, the Organiser reserves the right to cancel the walk without refund. What if I have an amazing question which isn’t answered here? We would love to hear from you to please drop us an email at [email protected]. If your question is really awesome, we might add it to our FAQ! Where will we be walking? The route will take us along the coastline of East Coast Park. We will be using the footpath and park connector so all Brave Walkers do not have to worry about vehicular traffic. How long is the walk? Do I need to be super fit to join? The walk is a 6.5km long walk along the coastline of East Coast Park. This is a non-competitive walk and we expect the pace to be moderate and leisurely so you do not have to worry about needing to be super fit to join. However, power-walkers are very welcome! Are drinks provided during the walk? There will be a water-point along the way but in an effort to reduce waste, we encourage all Brave Walkers to bring a reusable water-bottle and their own beverage as it can get pretty hot. There are vending machines and kiosks along the route (the machines accept notes and $1 coins). All walkers will also U-turn at Marine Cove where there are eateries and a convenience store. Can I rollerblade or cycle during the walk instead? The Brave Walk is a walking event and to ensure the safety of all participants, rollerblading or cycling during the walk is strongly discouraged. Can we bring strollers or scooters for my child? Yes! This is a family-friendly event and strollers, prams and scooters are welcome. Will I get lost along the route? Very unlikely! Our friendly Brave volunteers are stationed along the route for safety so you’ll be able to see them. Ask them to help you to snap photos! Where can I register for The Brave Walk? All interested Brave Walkers can register for the walk at http://sgbravewalk2018.peatix.com. You can purchase tickets using your smartphone or your computer. Do I need to create an account for ticket purchase on Peatix? Yes. As we will be using the Peatix ticketing system for the registration, you will need to create a Peatix account with your email address, or you can also use your Facebook. Twitter or Google account to login and create your Peatix account. All Brave Walkers can make payment through Paypal , VISA, MasterCard or AMEX. You can make your selection at the point of payment at http://sgbravewalk2018.peatix.com. Yes. After your order has been successfully completed, an order email confirmation will be sent to your registered email address. In case you did not receive the order confirmation email, please check if the order is in your Peatix account. If the issues persist, do drop us a line at [email protected]. Can I sign up for the walk on the day of the walk? Unfortunately, no. All Brave Walkers have to complete their registration before the closing date, 30 July. Please note that the closing date may be brought forward if the registration capacity is reached earlier than anticipated. I would like to join The Brave Walk with a group of 5 friends. Can we register together? We are delighted for you and your friends to walk together but we want to get to know each of you individually. As a result, all participants have to complete an individual registration. But you should absolutely walk together on the day! All funds raised will go to support Brave Spaces initiatives; the registration is non-refundable once confirmed. Can I bring along my beloved pet dog/cat/bird/turtle? The walk route will be along the coastline of East Coast Park and it is a public space so you are welcome to bring along your pet for the walk as long as you are mindful of the surroundings and how your “best pet friend” would feel in a crowd. Do children need to register? Children under the age of 12 do not need to register so you are more than welcome to bring along your children, nieces, nephews… they are welcome! What better way to spend family time than on a morning walk. Do note though, that the FREE t-shirt is only for registered Brave Walkers. However, you are more than welcome to buy a t-shirt (or several) as all funds go directly to supporting Brave Spaces initiatives. Where and when do I collect the walk t-shirt? Can someone else pick up my t-shirt for me? Of course! As long as your send them your printed or electronic confirmation of the walk registration. Will there be transportation provided to the venue? We are working on providing bus transport from Kembangan MRT to East Coast Park Carpark F2 and back. We will share more details closer to the date so check the Facebook event page for updates! From Tanah Merah MRT (exit A) Take SBS bus service 48. Alight at opposite The Summit Condo (5 stops from Tanah Merah MRT). Take the underpass (located next to the condominium Costa Del Sol) and you will exit very near Bedok Jetty. Casuarina Grove will be on your left. Stop at Carpark F1 (Xtreme Skate Park) Or Carpark F2. Nearest Carpark is F2 but you can park at Carpark F1/F2. Motorcyclists, please do not park on pavements or walkway path. Very popular and affordable. If you are able to get access to a shared bike, you can access Casuarina Grove, East Coast Park via the underpasses at Bedok Camp II, Costa Del Sol or Bayshore Park.